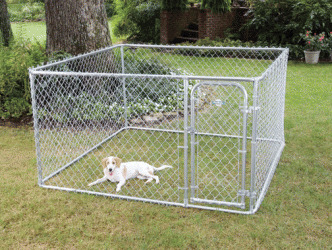 Confining a dog or more in safe place either in your yard or in your home will make your mind peaceful if you leave your pet alone. 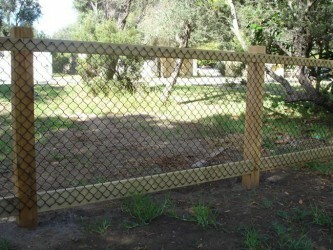 Not only to protect your pet, dog fence is also one of the elements that can add aesthetic value to your yard or house. A basic knowledge of fencing types based on materials and how you can proof your dog with those materials will direct you to better material choice. Although budget is also the main issue that often limits your options, you must build a dog fence that can confine your dog safely. 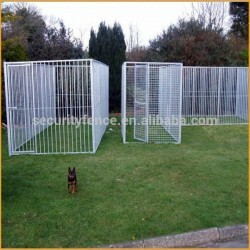 Most fencings are expensive. If your budget is very tight, the options for you may be limited. 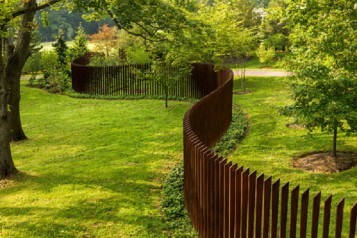 The options for you may be about snow fence or farm fence. Snow fence is one of the cheaper options. It is composed of low-gauge wire fabric of two-inch by four-inch rectangles. 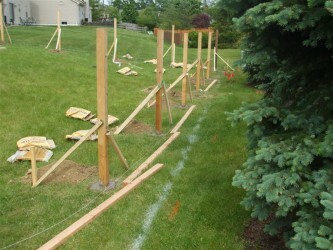 It is available in various heights and you must install it on a series of brace posts and t-posts. You must stretch the fabric when it installed to ensure added strength. 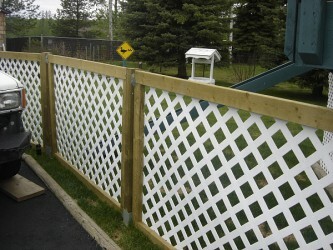 If you need a cheap and quick fencing idea, snow fence is an ideal option for you. 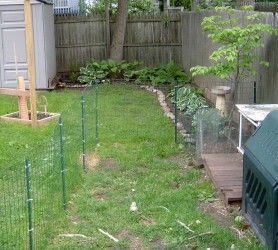 most homeowners who have rental house prefer this fencing. It hardly obstructs the view, and the openings are small enough that even small dogs cannot poke head, paws, or other body parts through. 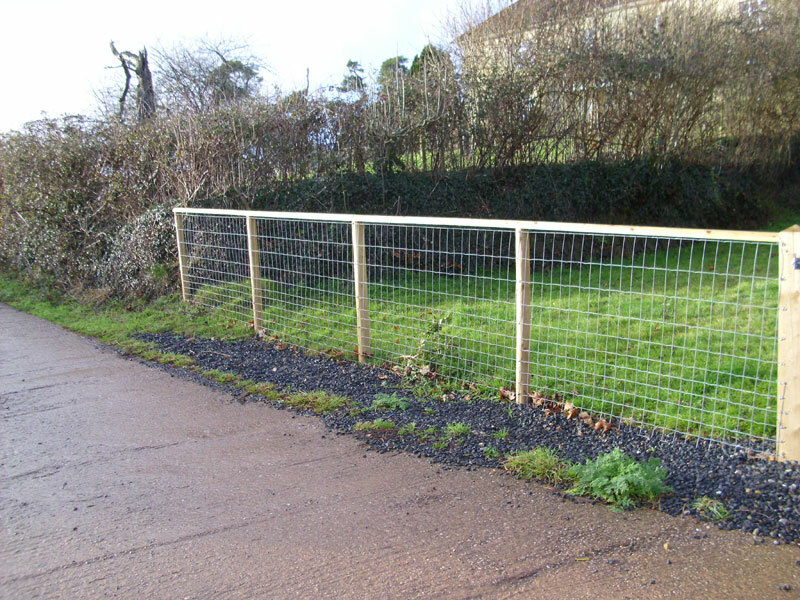 Be aware that the lower gauge wire of this fence can rust through, so periodic checking for holes is necessary. 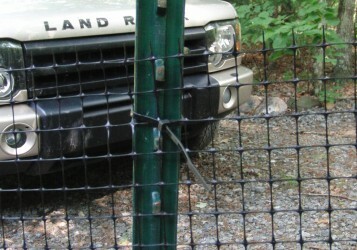 A car backed gently into chain link will make a dent; a car backed just as gently into snow fence will make a hole that is one of the disadvantages of this fencing. 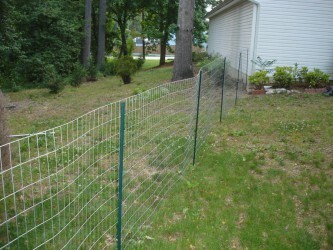 Farm fence or sheep fence is the cheapest fence and fabric that will restrain a dog. It is suitable for those who live in farming area or countryside. The fabric is loosely woven, narrow-gauge wire with larger rectangles at the top and smaller ones at the bottom. It comes in various heights and you can install it over brace posts and t-posts. You must strecth it for strength as it installed. This is the cheapest fence that will confine large breeds and, while not beautiful, it barely obstructs the view. The bad points of this fence are that the narrow-gauge wire corrodes, so you must check and repair it in regular basis. 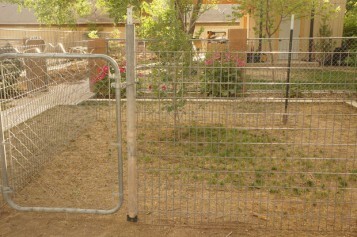 While a medium-sized dog can stick her head through the holes at head height, and, if so inclined, could nip a passer-by; a small dog can walk through the bottom holes; and many urban communities prohibit this type of fence.